It seems as though Ireland’s luck is incredibly poor when it comes to astronomical events as the weather always worsens when we turn our eyes to the sky. This looks to be the case especially for the upcoming partial eclipse that would be viewable in Ireland on August 21st. 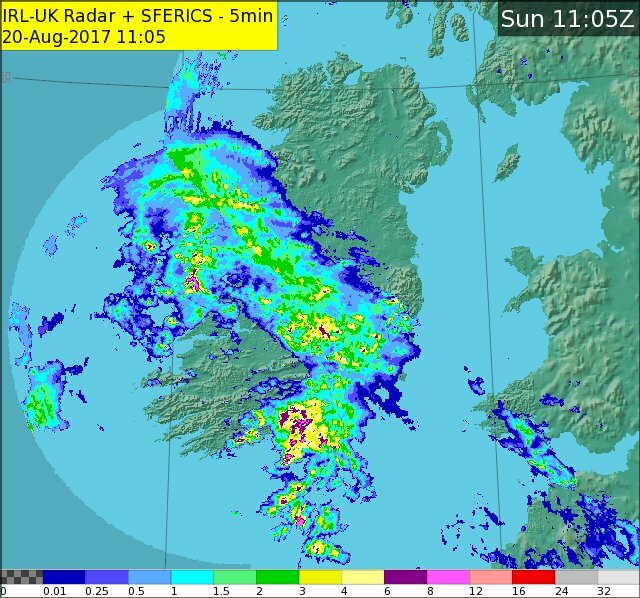 As the remnants of Hurricane Gert is already causing heavy downpours with Mace Head in Galway measuring 11mm of rainfall, it appears that the weather picture is grim for both today and tomorrow. Met Eireann’s 14:45 update states that tomorrow will continue with the theme of humid and misty weather with a chance of more thundery downpours occurring in parts of Ulster and Connacht. Met Eireann also releated a warning on Saturday August 19th stating that there could be warm and humid conditions along with heavy spells of rain that could lead to accumulations of 30 to 50mm, the highest amounts expected on mountains. This poses the risk of poor driving conditions due to localised flooding with high risk areas being the primary routes through Connacht during the 24 hour period from today to Monday. The only areas that are expected to escape the intense rainfall at this stage include South Leinster, South and East Munster and East Ulster. On a more optimistic note, there is a chance that some parts of Leinster and Munster will get a glimpse of the eclipse as hazy sunshine develops. Even if this is not the case, people can view the total from Nasa TV, which will air a four-hour show with a live video feed of the total eclipse that will be visible in America. The show will also show coverage of different activities in different areas including parks, stadiums, festivals and Museums in America as well as online on social media. The broadcast starts at 5PM Irish Time. This is not an event to be missed as another total solar eclipse will not happen until 2024.